John Quincy Adams, sixth President of the United States, didn’t hit his stride until he’d left that lofty office. It was during his many years in Congress that he assured his legacynot least because of his long, masterful oratory opposing slavery. 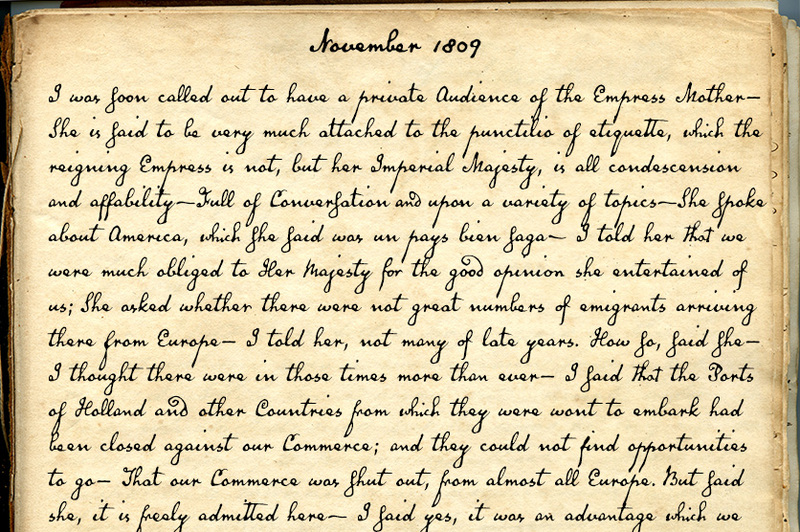 His speeches, in fact, won him the nickname “Old Man Eloquent.” So when I decided to simulate Adams’s penmanship in his legendary diary (which he kept for nearly 70 years), it seemed fitting to call the font by that name. I focused on his handwriting from about 1810, when he was Ambassador to Russia, but also consulted pages from later years. 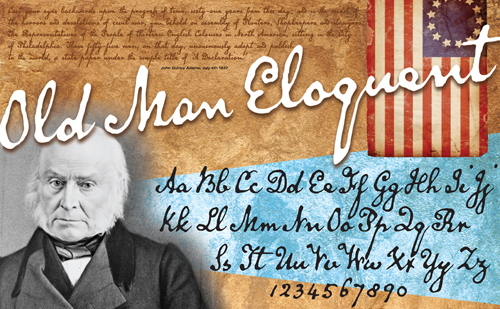 Old Man Eloquent is our first historical penmanship font with both regular and bold weights. The OpenType version has more than 450 glyphs, including alternate uppercase characters, old-style and lining figures, and numerous ligatures; all formats contain several common (English) words. US$49.